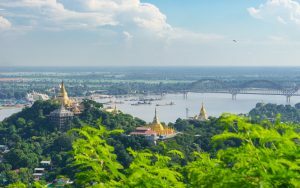 Some said that a visit to Mandalay would not be complete without Kaungmudaw Pagoda. 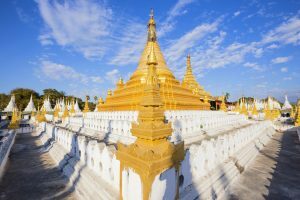 This is one of the most well-known among of the Sagaing stupas, with its large white-washed edifice and large dome. 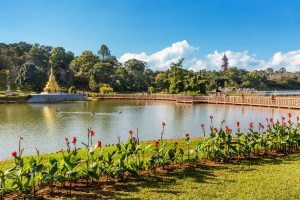 The dome shaped pagoda rises up to 46 meters and was modelled after the Great Stupa in Sri Lanka. At the base of Kaungmudaw pagoda, there are 812 stone pillars around, each one with a hollow and an image of a Nat in it. 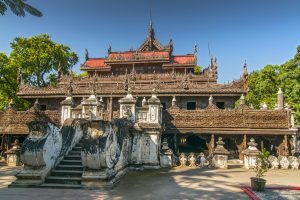 Kaungmudaw Pagoda was built to commemorate Inwa's establishment as the royal capital of Myanmar. Location: 10 kilometers from Sagaing, Mandalay Division.